OSCE Monitors Identify “Shrapnel and Machine Gun-Like Holes” indicating Shelling. 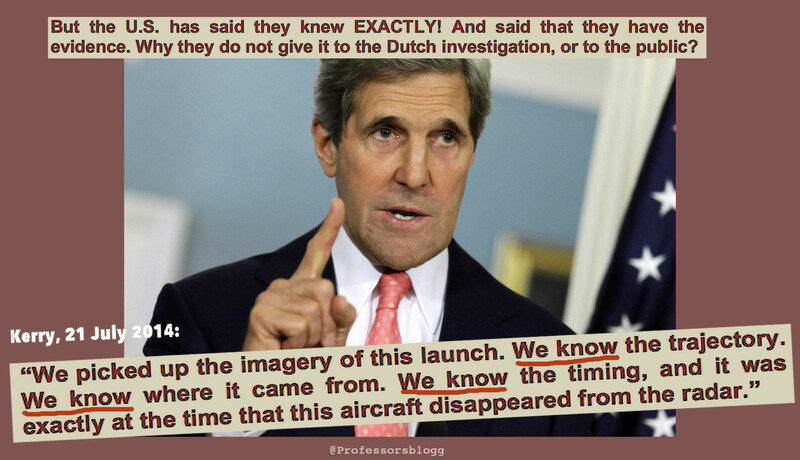 No Evidence of a Missile Attack. Shot Down by a Military Aircraft. 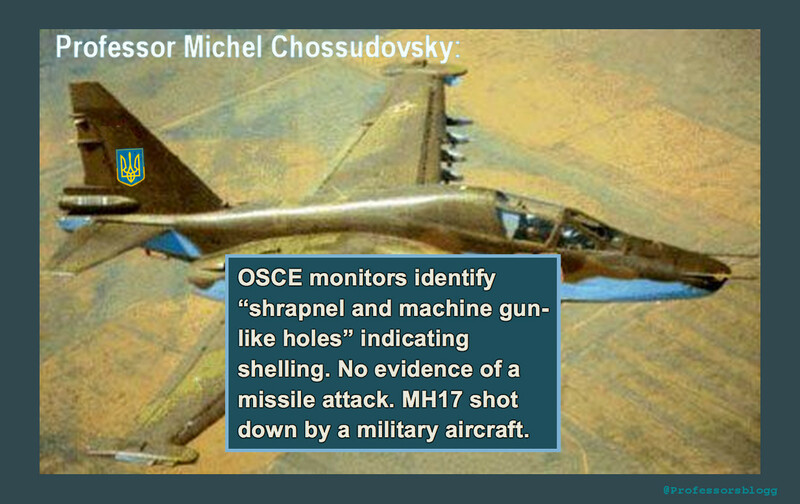 The conclusions by Professor Michel Chossudowsky may be superseded by the Almaz-Antey report referred in the update 13 Oct below, which has identified the Buk-missile type mentioned in the Dutch report although as an obsolete model not used by Russian forces. 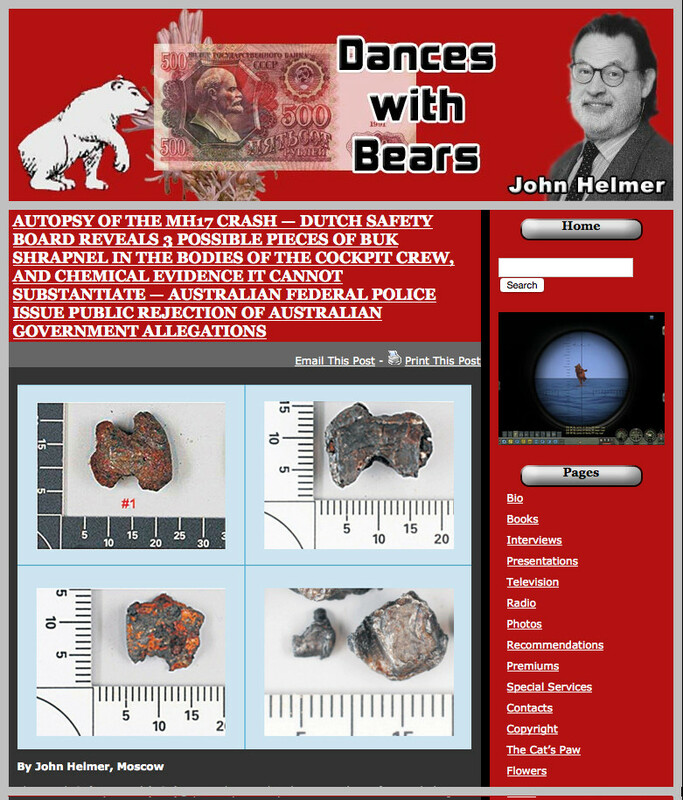 “The evidence presented in this article first published by GR on July 31, 2014 (updated in September 2014) contradicts the recently released report of the Dutch Safety Board. 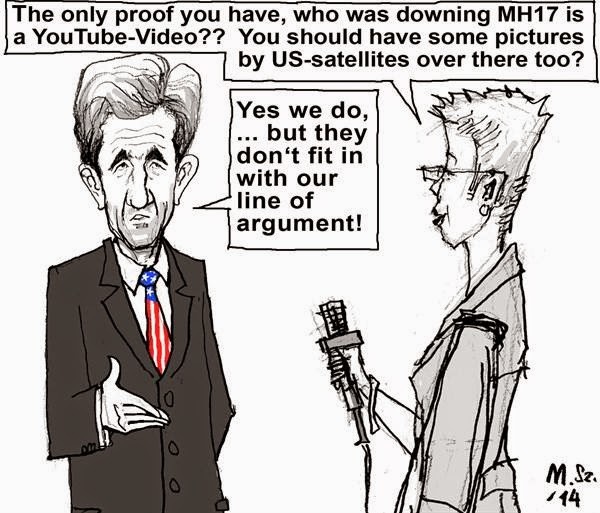 The evidence confirms that MH17 was not brought down by a surface to air missile.” [Global Research Newsletter]. This post contains analyses by Ian56 and includes an update series of relevant documentation on the flaws in the Dutch Report. 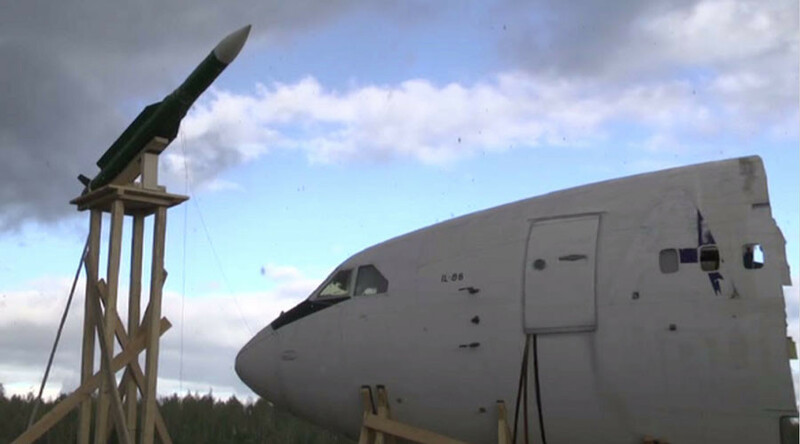 Two full-scale experiments by the Almaz-Antey defense company aimed at recreating the MH17 crash conclude the missile that downed the flight was an old BUK model fired from a Ukraine-controlled area, contesting the preliminary theory by Dutch investigators. Two detonations of Buk missiles near aluminum panels and the cockpits of decommissioned Ilyushin Il-86 passenger airliners in July and October have produced what the company calls conclusive results. In the course of the international investigation, “the company was provided with three T-shaped strike elements, which looked like 9M38M1 [model] strike elements, which caused specialists to make their conclusion on the missile type in June,” said Almaz Antey’s CEO.